A look at several measures of the quality of early childhood education suggests that the instructional practices of preschool teachers have the largest effect on young children’s academic and social skills. 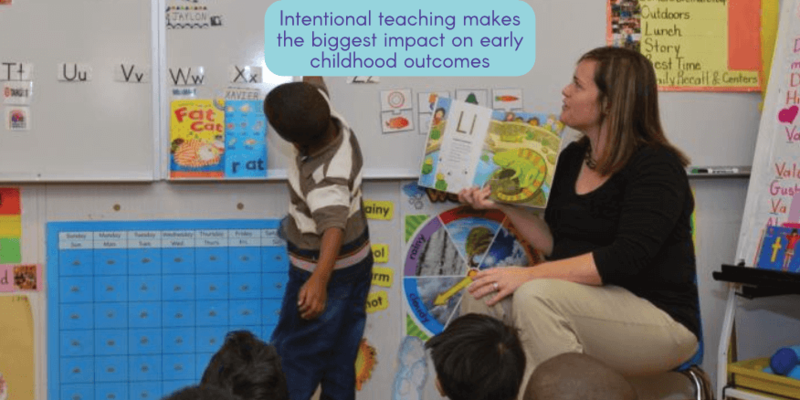 According to Burchinal, many of the most effective curricula incorporate planned, engaging activities for preschoolers, with a schedule of lessons and activities in a variety of learning settings. Effective learning opportunities often include some whole group instruction and more time in small groups, learning centres and computer work.